Time Tracking with Breeze – what does it offer and how can Time Tracking software enhance it? Breeze is a simple tool for project management that keeps all our tasks and projects on a single workspace. It gives to its users the transparency of their everyday workflow. They are able to monitor what’s being worked on, who’s working on what, where things are and how much time do particular tasks take. Breeze gathers all the projects and tasks in one place, from which they are always accessible. The effective visual boards it offers are a great help in managing projects and visualizing the steps essential in finishing the work. The whole team is able to focus on a problem, brainstorm, discuss, and leave feedback thanks to the collaboration tools included in Breeze – an editor that is easy to use, task assignment, or calendars. A calendar can be used to automatically sync tasks, and resources managed in the team planner. This software drastically reduces the use of email by providing all the necessary features for project management in a single app. Thanks to it, the companies are able to focus on their core tasks without the unnecessary distractions. Keeping all the projects organized and assigned is the first step to achieving greater workflow. 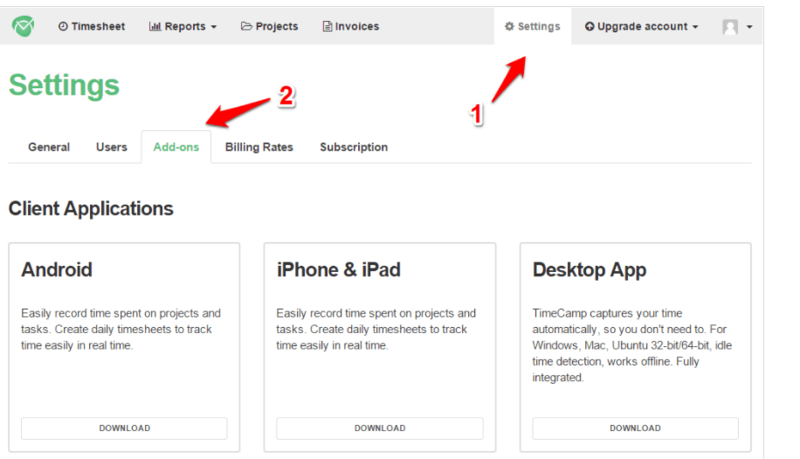 Breeze Time Tracking is available with TimeCamp! Sign up for a free trial to make use of all the features and integrations that we offer. 1. Go to Settings and there click on the Addons bookmark. 2. Find Breeze and click Enable. 3. 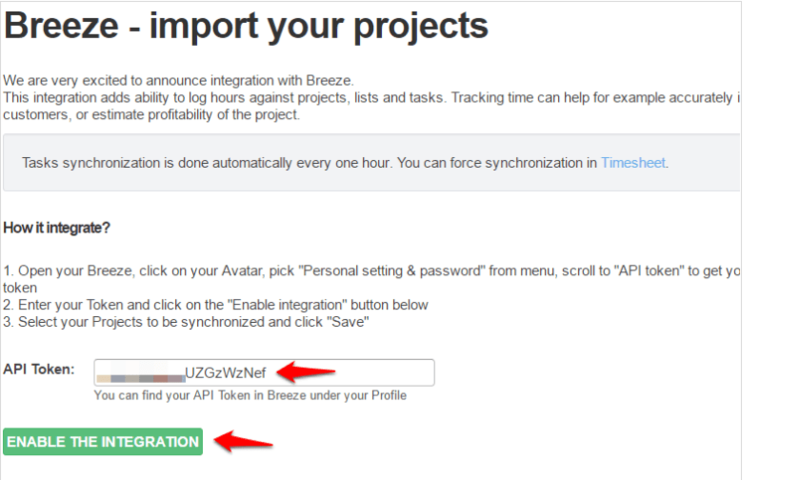 On a separate bookmark, login to your Breeze account. We’ll need to copy your API token from Breeze, which is unique to each user. Click on your avatar in the right-upper corner to expand drop-down menu. Enter “Personal Settings & password” page. 4. Scroll down a bit until you find the “API token” section. Copy displayed token. 5. 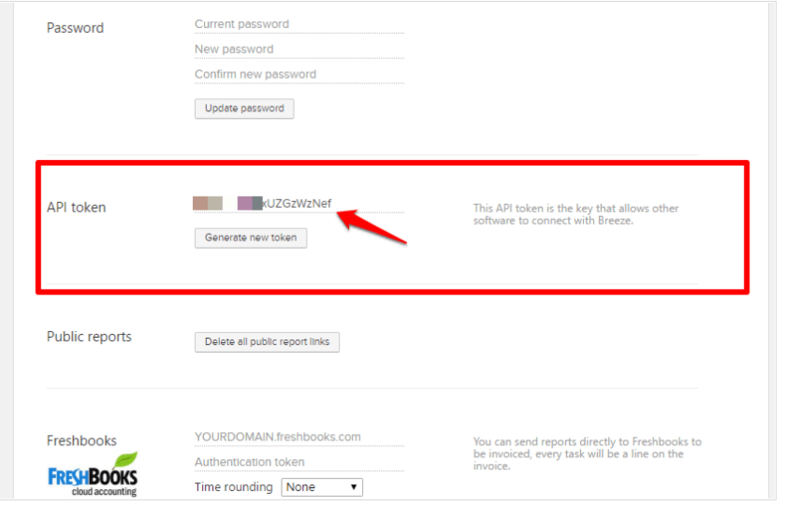 Go back to TimeCamp -> Paste your API token on integration’s settings page. Click on the green button ENABLE THE INTEGRATION. 6. 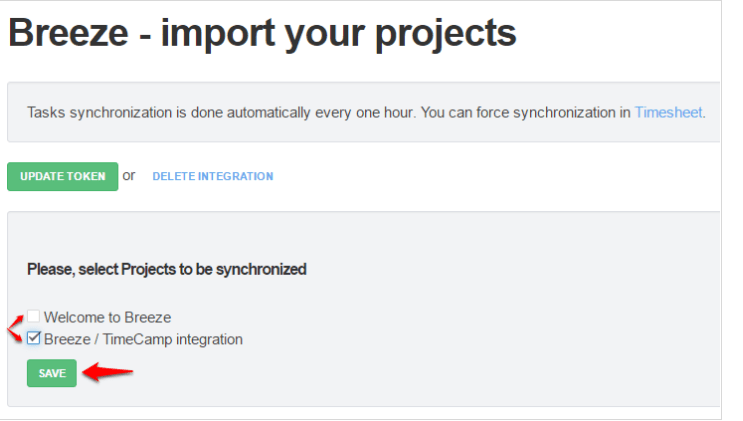 Select projects you wish to synchronize and click on green “Save” button. 7. Your projects and tasks will be automatically imported by TimeCamp and you will be able to track the time spent on each assignment. 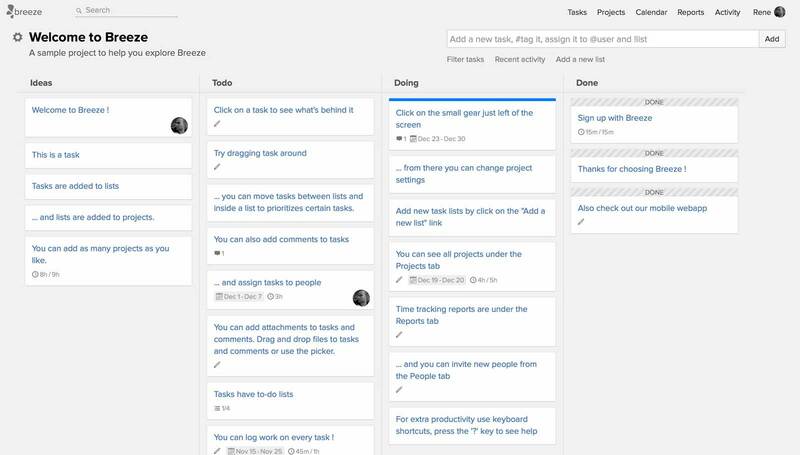 On the Project Management page, you will notice your upgraded projects and tasks. 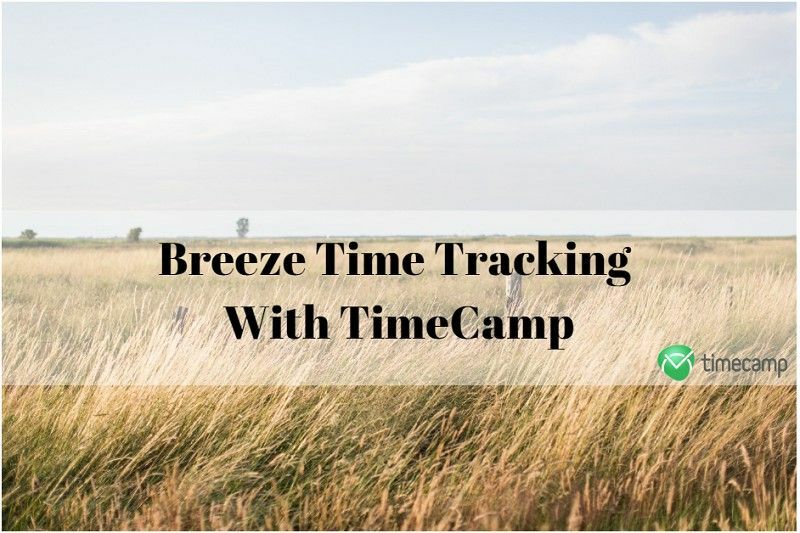 You can now manage your time thanks to a Breeze time tracker that TimeCamp provides! If you are not a fan of written tutorials, here is the video prepared especially to walk you through the integration process. 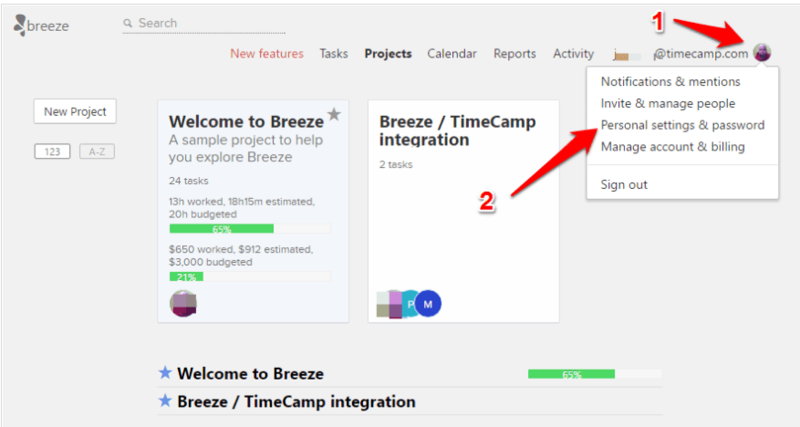 Once you enhance Breeze by integrating it with TimeCamp, you will surely notice the progress in your and your team performance. We are doing everything in our power to provide our clients with the best tools to boost their productivity and efficiency.